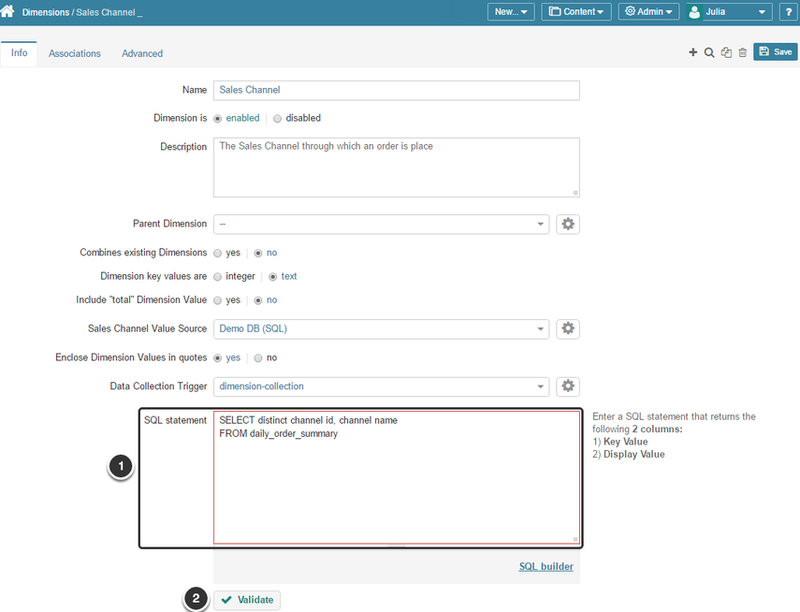 This article outlines the process used to create a Dimension with values that are populated automatically using a data fetch command. While SQL specifically is used to fetch Dimension Values, the process described below can be used for any Configurable Data Source. 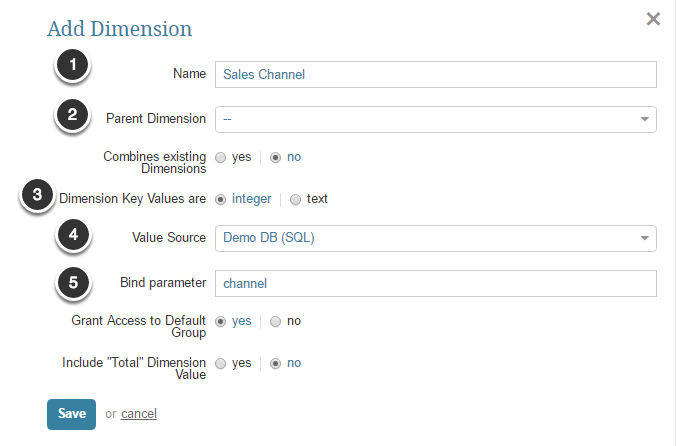 SQL Statement: Write the data fetch command to be used to collect the Dimension Value data. The command must return one Key value and one Descriptive value column. If the Dimension does not have a Key Value, select the descriptive value for both columns. 1.9 Why doesn't my dimensioned element include a total?